Little and large they may be. But giant clams have evolved a unique trick for redirecting sunlight to their microscopic algal tenants. In many species of giant clam, photosynthetic algae live in the clam's fleshy mantle, which is exposed to the sea and sunlight through the flaps of its shell (pictured). In exchange for their home, the algae secrete glycerol, which feeds the clam. The association is one of many in which animals work symbiotically with plants and algae to harvest the power of the sun. But giant clams have specialised cells called iridocytes that allow algae to grow in microscopic pillars, which go about 2 millimetres deep into the clam mantle.Alison Sweeney of the University of Pennsylvania in Philadelphia and her team have demonstrated that the iridocytes ensure that every last algal cell in the micro-pillar still gets its fill of sunlight, even though most of the 300 or so cells in each column have no direct access to the light. "What makes this system in the clam special is that the design can extract every last photon from sunlight," says Sweeney. By shining halogen lamps on clams, Sweeney found that iridocytes redirect the path of sunlight so that it fans out into a cone about 15 degrees wide, bathing entire pillars of algae in mild, but optimal, intensities of light. Moreover, they transmit mainly red and blue light, the wavelengths that the algae photosynthesise most efficiently, and deflect much of the green and yellow wavelengths. "The amount and mix of light that gets through is just right for the algae," says Sweeney. "And it fans out just enough to reach all the cells in the column." Typically, clams that live in shallow coral reefs are exposed to levels of sunlight that are enough to kill the algae. "While earlier work speculated on the role of these iridescent cells, this paper clearly shows how clams use iridocytes to control and redistribute the light that reaches their algal symbionts," says Ryan Kerney of Gettysburg College in Pennsylvania. Kerney says that the research also solves the puzzle of why many clams are iridescent – it's down to the green or yellow light that is reflected because it's of no use to the algae. "Animals such as starlings or butterflies generally use iridescence for display or camouflage, but giant clams do neither, instead optimising the absorption of light to suit tiny stacks of algal cells." Sweeney and her colleague, Shu Yang, have now begun a project to try to artificially mimic the function of the iridocytes, and to test ways of growing pillars of algae. It could drastically improve the efficiency with which algae can be farmed to produce biofuels , because it would allow the algae to be grown in layers hundreds of cells thick instead of as a single layer, or being constantly stirred to expose all cells to sunlight. "The clams have shown us how to grow algae very densely, without having to stir them, which wastes energy," says Sweeney. We noticed this encouraging news on Sippican.com. It is good seeing more towns moving in this direction. 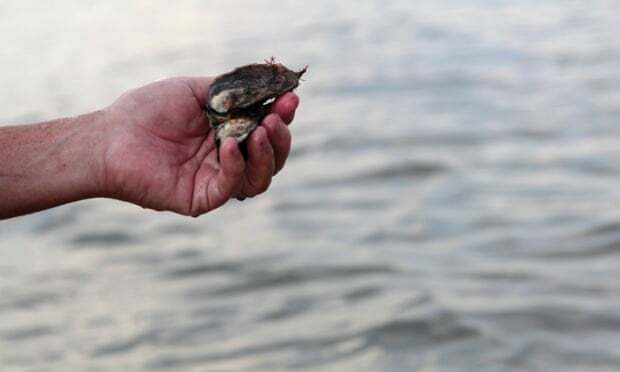 MATTAPOISETT — Thousands of oysters grown from seed in Mattapoisett have been released into Pine Island Pond, and if all goes well, they will spawn thousands more. Assistant Natural Resources Officer Kevin Magowan headed up the town’s first oyster farm. Beginning in June 2013, the town began growing 100,000 oyster seed in an upweller. The oysters were transferred to mesh grow-out bags and put in Pine Island Pond for the winter. After the winter, Magowan said there were around 50,000 oysters still alive. They were then floated in bags during the summer and had grown to an average of 1.8 inches by June. By the end of September, they averaged 2.8 inches. The legal size is 3 inches. For three Saturdays, volunteers have released around 12,400 legal sized oysters and 6,400 “sublegal” oysters that are near legal size. There are still more to broadcast, said Magowan. Pine Island Pond was already a natural habitat for oysters, so the location is optimal for them to grow, he said. Each female oyster can also spawn 10 to 30 million eggs in one summer, according to Magowan. Those oyster seed, in addition to more fostered seed fostered by the town would make a definite impact. As to whether or not the oyster experiment was a success, Magowan said commercially-raised oysters sell for about $.55 each. “I think we can beat that, and if we can’t, we definitely can next year. It’s a relatively cheap project, and I think we could see a pretty good increase in oysters,” he said. Since the town has already invested in the upweller, it would cost a little more than $2,000 to cultivate another round of oyster seed. In our efforts to keep our readers informed of interesting employment opportunities we share this link. This position is funded from the Commonwealth's annual operating budget. Work as member of the Massachusetts Environmental Policy Act Office (MEPA). The MEPA Office conducts environmental impact reviews of a broad range of public and private projects. Issues studied include wetlands, coastal resources, ground and surface water quality, water supplies, wastewater treatment and discharge, storm water, solid waste management, traffic, air quality, archaeological / historical resources, and greenhouse gas emissions. The Environmental Analyst V oversees the review of projects submitted to the MEPA Office by proponents. This includes reviewing Environmental Notification forms, Environmental Impact Reports, Notice of Project Change, and Waiver requests: conducting site visits and public consultation meetings with proponents, local and state officials, and interested members of the public: evaluating information supplied by proponents, permitting agencies and other commenters: recommending whether a project requires an Environmental Impact Report: preparing the scope of study for EIRs: evaluating the adequacy of submitted EIRs in responding to scopes: and preparing decision certificates for approval by the Secretary of Environmental Affairs. Duty 1. Serves as primary reviewer of assigned Environmental Notification Forms and Notice of Project Change, as well as public agency and comments associated with assigned projects. Where further review is required, develop the scope of study and associated information to be included in an EIR. Duty 2. Serves as primary reviewer of Environmental Impact Reports as well as agency comments associated with assigned projects. Duty 3. Sets up, drives to, and conducts public consultation sessions with project proponents, members of the public, agency staff, and local and state officials. Duty 4. Prepares recommended decisions for the Secretary and MEPA Director, including all Certificates and correspondence associated with assigned projects. Duty 5. Communicates and coordinates with agency staff (internal and external), elected officials and the public with regard to all aspects of assigned projects under MEPA review. Thorough knowledge of the MEPA statute and regulations. Good working knowledge of relevant state and federal environmental permitting requirements and procedures. Familiarity with broad range of environmental issues in Massachusetts. Applicants must have at least six years of full-time, or equivalent part-time, technical or professional experience in the field of environmental science, biology, chemistry, earth science, environmental health, meteorology, natural science, toxicology or public health, of which (B) at least four years must have been in a professional capacity, and of which (C) at least two years must have been in a supervisory, managerial or administrative capacity, or (D) any equivalent combination of the required experience and the following substitutions. *Education toward such a degree will be prorated on the basis of the proportion of the requirements actually competed. SPECIAL REQUIREMENTS: Based on assignment, possession of a current and valid Massachusetts Class D Motor Vehicle Operator's License. Graduate training and six years or more of professional experience (additional experience may be considered a substitute for graduate training); solid problem solving skills; ability to work under pressure; excellent communications skills including writing and public speaking; strong administrative/organizational skills and experience. Must be able to drive to site consultations that may take place anywhere within the Commonwealth. To learn more about Massachusetts Environmental Policy Act (MEPA) go to www.mass.gov/envir. If you are applying for this position on-line, you must create a profile and log in . Applicants who are unable to apply online due to disability are asked to contact Pauline Christopher at 617-626-1019. Wow! We had been under the impression that little oyster restoration was underway in NJ. And once we publish on it. Boom! We learn otherwise. The article below was published in the Middletown News. To see the original article visit this link. Governor Christie, if you took offense, we will come to NJ and shuck 100 oysters for you to make up for our gaffe. CAPE MAY COURT HOUSE – More than 30 area residents volunteered to wade through chilly waters recently to pull 15-pound bags of clam shells from the shallows in the Delaware Bay to help restore an oyster reef near Gandy’s Beach in Cumberland County. The shells were covered with oyster larvae that swarm the bay during the summer, near the Rutgers Cape Shore Laboratory in Cape May Court House. 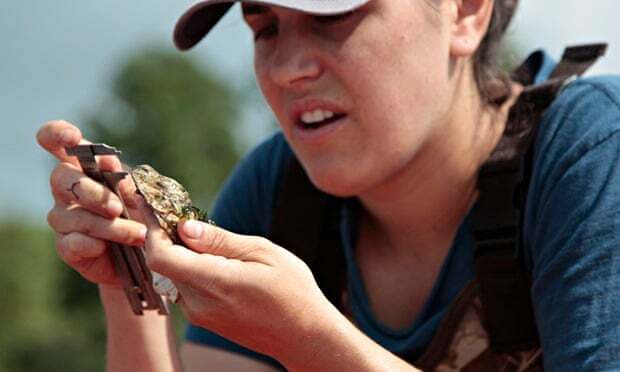 “Our volunteers were a diverse group including families, oyster growers, educators, Anheuser Busch employees and students and faculty from Westtown School in West Chester, Pa.,” said Lisa Calvo, a marine scientist with Rutgers. The event, held Sunday, Sept. 14, was part of Project Ports, or Promoting Oyster Restoration through Schools. In June, kindergarten through eighth grade students filled bags with shells, which were then dropped onto submerged sandbars in the bay off the shore of Middle Township. Oyster larvae settled on the shells throughout the summer, and the bags were harvested in September by a group of hardy volunteers. The initial plan had been to put the bags onto a barge for the trip to up the coast, but Calvo said high winds made the journey unsafe. Instead, the larvae-laden shells were loaded onto trucks and driven to Cumberland County. Calvo said the project is an outreach projects that supports the community, as well creating awareness of the Delaware Bay. The oyster restoration site near Gandy’s Beach is part of a 10-acre plot owned by the state. High winds prevented a barge from making the trip up the coast, so volunteers load bags of shell onto a truck for the trip to the oyster reef near Gandy’s Beach in Cumberland County. Oyster spat covers a clam shell.